· By Bill Keaggy on December 2nd, 2011 in Artfoodness, Beyond groceries, Grocery lists, Healthy eating. 2. MYSTERIOUS CIRCLES: Up first, Devour by Christopher Jonassen. Can you guess what these are? Look first and of you can’t figure it out the answer is at the bottom of this post. Have you ever been primed? I mean has anyone ever deliberately influenced your subconscious mind and altered your perception of reality without your knowing it? Whole Foods Market, and others, are doing it to you right now. Thirty-seven years ago… a strange new computer technology entered the supermarket. On June 26, 1974, a white male by the name of Clyde Dawson entered Marsh Supermarket in Troy, Ohio. He loaded up his cart with groceries and approached the checkout line. The cashier that day was Sharon Buchanan. At 8:01 a.m., she picked a 10-pack of Wrigley’s Juicy Fruit chewing gum out of his cart and scanned it. The gum has now been immortalized at the Smithsonian National Museum of American History. That first scan signified a radical transformation of the supermarket, ushering in the era of the Universal Product Code (U.P.C. 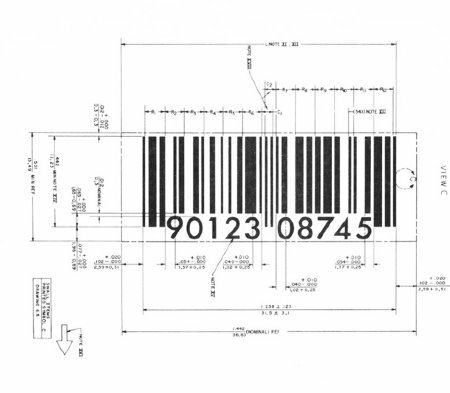 )—the nondescript, monochrome rectangle that adorns nearly every retail item we purchase. Today, it’s become a standard for consumer products in the electronic age. 6. FOOD SUBSIDIES: A couple informative articles about food subsidies: A. The Inconvenient Truth About Cheap Food and Obesity (It’s Not Farm Subsidies) And B. Surprise! Subsidizing Healthy Food Helps Kids Lose Weight. 8. QUITE OLD FOOD: Best Before: A man documents his 90-year-old grandmother’s pantry. …magnets by Harrington and Squires allow a refrigerator to become one big grocery list while adding pops of colour to your kitchen. A fantastic London letterpress workshop, Harrington and Squires have recently added a set of Spice Magnets to their collection. Ten years after self-checkout lanes debuted in many American supermarkets, some chains are beginning to rethink the option. Beginning this month, Albertsons LLC is removing the self-checkout lanes in all of its 217 stores in seven states. As it remodels stores, Kroger has decided to consider the metro or Euro style of checkout lanes, with one customer line for multiple staffed express lanes vs. self-checkouts. 10. YUMMY DISHES: This recipe aggregator site is great: Check out Punchfork. 11. 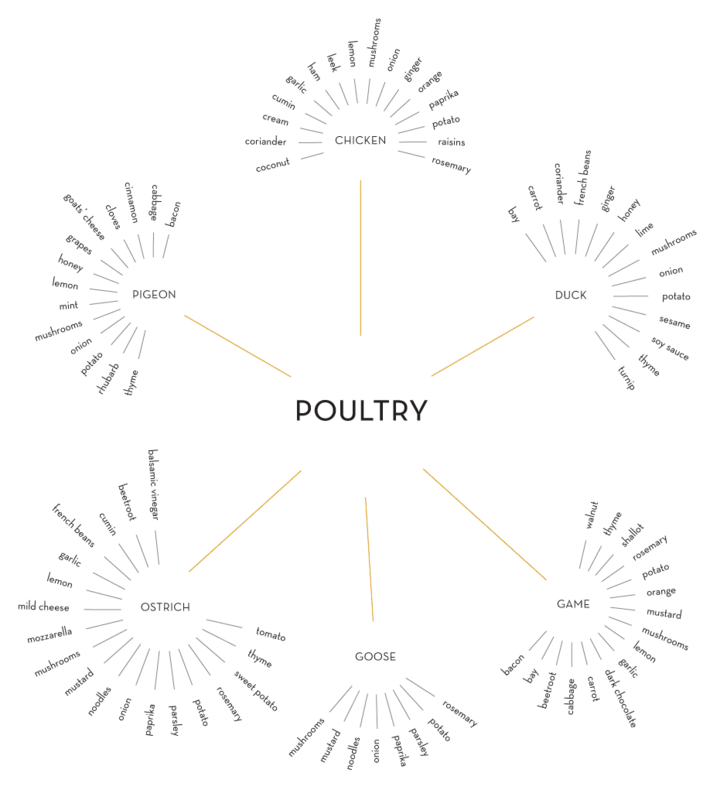 TASTY INFOVIZ: Finally… taste buds and complementary flavors (a visualization). Couldn’t figure out what those moonlike circles were in #2? They’re frying pans.